Get ready for your next adventure with the all-new 2019 Honda Passport. 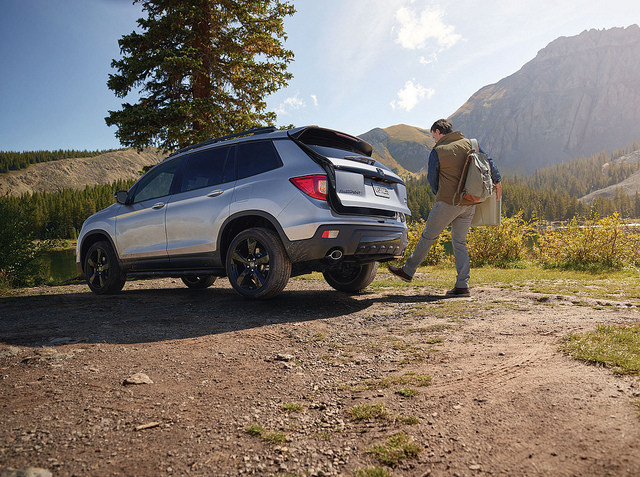 The newest Honda SUV combines powerful performance, rugged capabilities, a versatile interior, and innovative technologies to make it a solid option for consumers that want to go off the beaten path. Slotted between the compact Honda CR-V and the three-row Pilot, the Passport looks to fill a gap in the Honda SUV lineup. It will come with a 3.5-liter V6 engine under the hood, which is paired to a nine-speed automatic transmission and puts out 280 horsepower. If you’re looking to head off road, then you’d be happy to know that it will have an available Intelligent Variable Torque Management all-wheel-drive system to enhance on- and off-road capabilities. You will even get an Intelligent Traction Management system, which will allow you to choose the terrain mode you want to be in: Snow, Sand, or Mud. 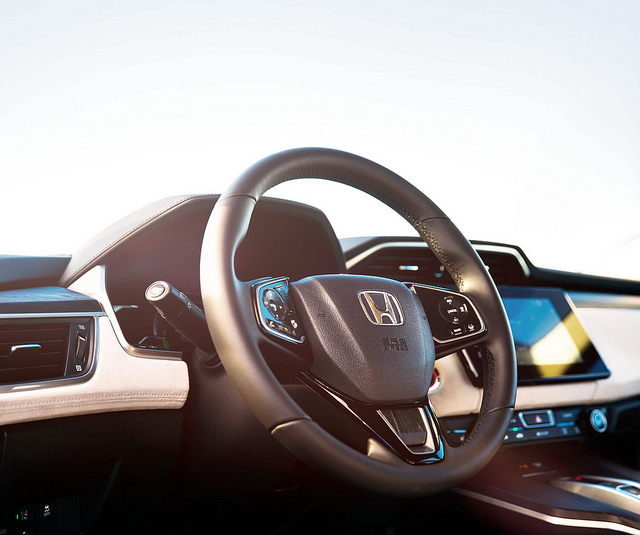 Along with these performance technologies, you will also find ample safety features, since every Passport comes standard with the Honda Sensing® driver-assistance technologies. This includes Forward Collision Warning, Road Departure Mitigation, Lane Departure Warning, Lane Keeping Assist, and Adaptive Cruise Control. For your cargo, you will also find that you can make the Passport’s interior suit your needs, thanks to its 60/40-split rear seat. You will find 41.2 cubic feet of space behind the rear seat, which expands to 77.9 cubic feet with the second row folded flat. There is even a 2.5 cubic feet space for underfloor storage that has removable and washable bins for your muddy or wet gear. 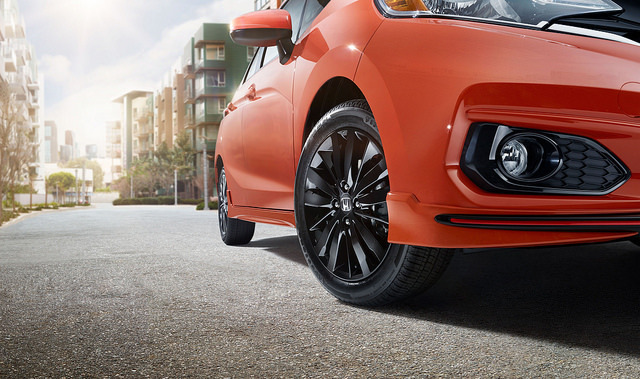 At Hardin County Honda, we’re excited to finally see the return of the Passport name. Visit us in Elizabethtown, KY, to check out this all-new, rugged midsize SUV! 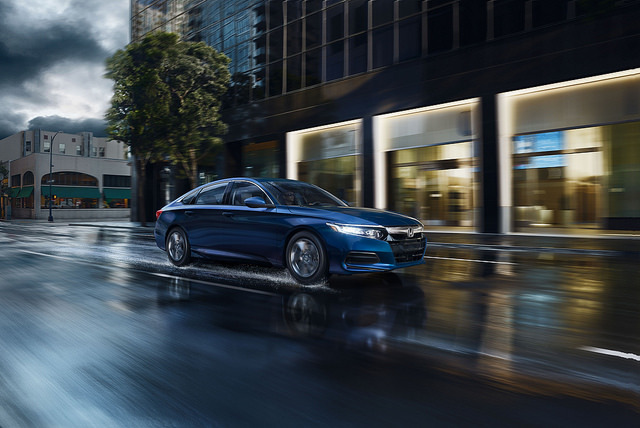 Although it comes with little surprise, it’s an honor worth celebrating: the 2019 Honda Accord and the 2018 Civic have once again been named to the Car and Driver 10Best list. The Accord Hybrid was included under the Accord title, and the Civic Hatchback Sport, Si, and Type R were named the specific trims that earned the Civic a spot on the list. This is the Accord’s 33rd time being featured on the list, and the 7th time for the Civic. These two Hondas have been favorites for decades now, and the new models continue to impress. 2018 saw the beginning of the tenth generation for the Honda Accord, and it innovated the segment with its superior performance, sophisticated style, and fantastic hybrid option. 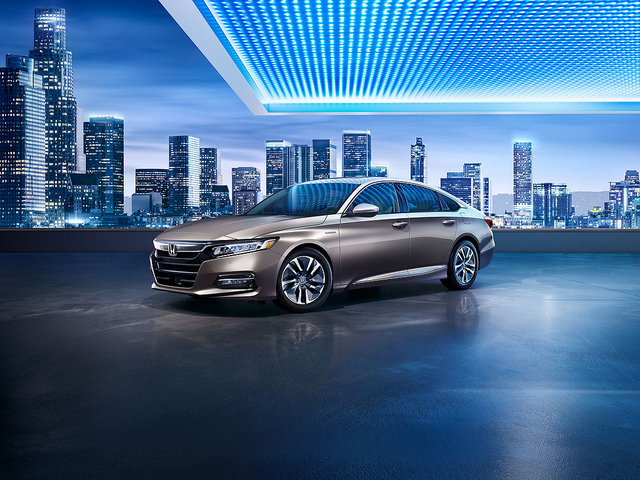 From front to back, Honda has thought of everything for the Accord, from advanced connectivity technology like Apple CarPlay™ integration, to standard Honda Sensing® safety and driver-assist technology that will elevate your confidence while driving. The Civic lineup has something for everyone, from sedans to hatchbacks, from elegantly simple designs to upscale, sporty interiors. The Civic Sport, Si, and Type R are particularly notable for their sophisticated and dynamic performance. Car and Driver even described the Civic Type R as “quite possibly the highest performing and most satisfying front-wheel-drive car on the market today.” Despite being a vehicle line that has been around since the 70s, the Civic remains undeniably modern with its cutting-edge features. Visit us at Hardin County Honda to explore the Honda Accord and Civic in detail and discover in person just what makes them so good. Earlier this month, Honda announced that it would be unveiling its new 2019 Honda Passport on Tuesday, Nov. 27 via a live stream on Honda’s YouTube channel. This comes one day before its global debut at the 2018 Los Angeles Auto Show. The new Honda Passport will slot between the Honda CR-V and the Honda Pilot. This makes the Passport Honda’s fourth SUV, joining the CR-V and Pilot, as well as the HR-V. The Passport is an American-made product: The design and development took place at Honda R&D Americas, and the physical models will be manufactured at the Honda plant in Lincoln, Alabama. 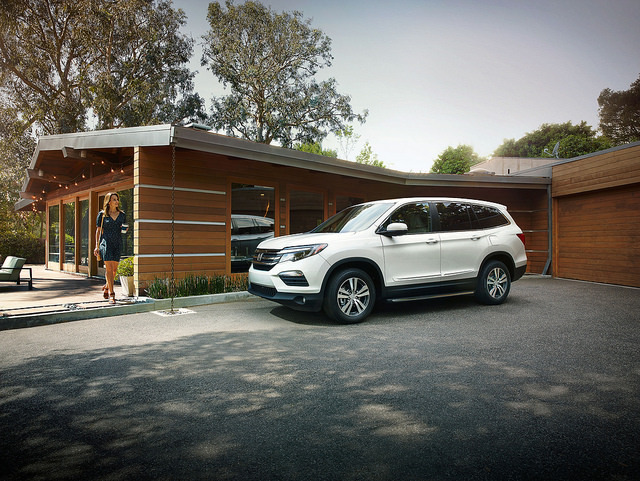 Honda’s SUVs have earned praise for their quality and value. Just this year, Honda was named Best SUV Brand by U.S. News and World Report. * The additional of the 2019 Honda Passport will further improve Honda’s offerings. We at Hardin County Honda are excited about the 2019 Honda Passport debut later this month and will certainly be watching its unveiling. Earth Day is right around the corner on April 22, and there are a number of ways to celebrate. While you can do small things like recycle reusable materials, turn off lights when you’re not using them, and bring your own bags when you grocery shop, one of the biggest things you can do is to buy a fuel-efficient car. For example, the new Honda Clarity Series provides unmatched fuel economy to help you cut back on your carbon footprint. 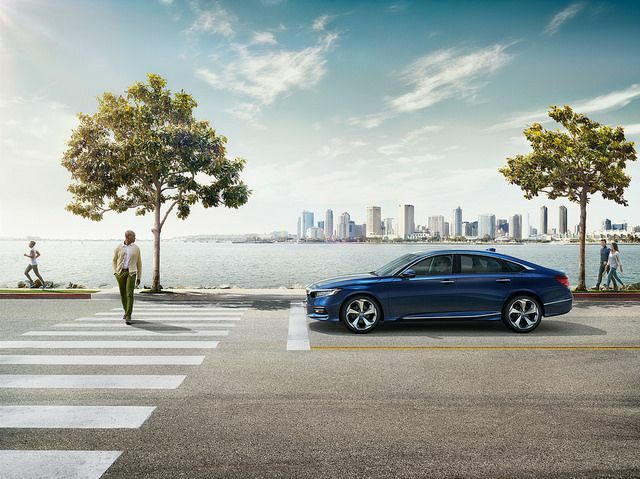 There are three vehicles that make up the Clarity Series according to Honda, including the Clarity Electric, Clarity Plug-In Hybrid, and Clarity Fuel Cell. The Clarity Electric has an 89-mile range* in the proper conditions, which is great for the everyday commute. The Clarity Plug-In Hybrid can go up to 340 miles with a combined range, and the Clarity Fuel Cell sedan has an impressive 366-mile range. 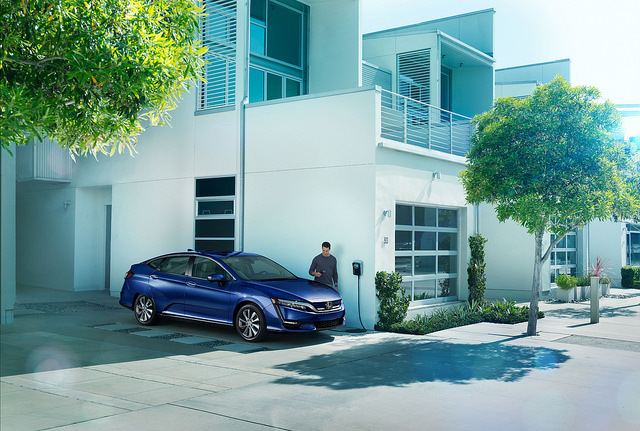 * Compared to traditional gasoline-powered models, the Honda Clarity Series offers incredible efficiency. There are several other reasons you should consider the new Clarity Series. For example, you can earn up to $7,500 in federal tax credits when you buy an eco-friendly model like the Clarity, and new convenient charging options make the process easier and quicker than ever before. That’s not to mention the sleek designs, high-tech infotainment, and comfortable interiors. By offering three different electrified powertrains with the same model, Honda takes an innovative approach at green driving, providing drivers with options that never existed before. At Hardin County Honda, we’re looking forward to seeing how the Clarity Series changes the automotive landscape. *Based on 2018 EPA estimates. Actual mileage may vary based on driving conditions. For all of those Honda lovers out there, you know that Honda stands out as a top brand. Others are noticing, too. The Honda Accord has officially been named the 2018 Car of the Year by the Detroit Free Press. This win hardly comes as a surprise. The 2018 Accord delivers amazing bang for its buck, turning heads as it goes. The Accord has made big changes in recent years, as it’s now built on a lighter platform that makes it even nimbler on the road. Under the hood, it boasts the nameplate’s very first turbocharged engine options that beautifully combine power and efficiency. The 2018 Accord has also been noticed for its ample interior passenger space, offering both comfort and practicality. The Detroit Free Press isn’t the only publication that has noticed the Accord. The Accord has received multiple accolades, including Overall Best Buy of 2018 by Kelley Blue Book and Car of the Year Finalist by Motor Trend. To see this classic, award-winning mid-size sedan, stop by Hardin County Honda and schedule a test drive. Honda’s 2018 lineup has already been recognized for its standout design, progressive features, and fantastic performance. 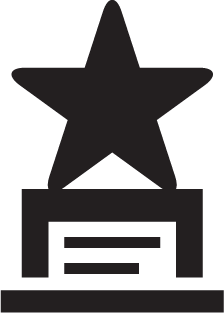 The big winner so far has been the Honda Accord, which was named to both the KBB.com Best Buy list and the Car and Driver 10 Best List. According to KBB.com, the Accord offers many of their favorite automotive technologies, including active safety features like Automatic Emergency Braking and Lane Departure Warning, and infotainment tech like USB ports and connected mobile apps. Plus, the Accord is incredibly fuel-efficient, spacious, and stylish. The Car and Driver 10 Best Awards are also one of the most prestigious awards in the auto industry, and the new generation of Accord easily made the list, just like 31 of its predecessors. The 2018 Accord is available now, so stop by Hardin County Honda to see all of its perks and features for yourself.